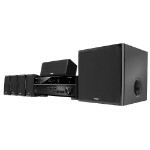 Yamaha YHT-3920 UBL is a 5.1 channel home theater in a box system. This home theater provides you with all the ultra modern facilities which make your musical life a lot more delightful. Home theaters are meant to feed you with good listening experience and this home theater would never fail to fulfill all the expectations which you have a perfect home theater in a box. The Bluetooth enabled features of this home theater makes it very less messy. Because there is no need to connect it from the wires, you can easily connect it from your smartphone. The Yamaha YPAO system allows automatic calibration of the sound according to the environment. The virtual cinema feature is also very useful as it allows you to install all the speakers in the front and enjoy fully when rear speaker placement is not possible. If you have a plan to watch a movie in your home then this home theater is perfect for you because it comes with a center channel and four surround speakers which can be easily mounted on the wall. 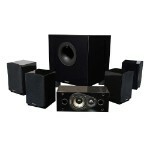 It has 8 inches and 100 watts powered subwoofer which is used for a cleaner and a stronger bass. 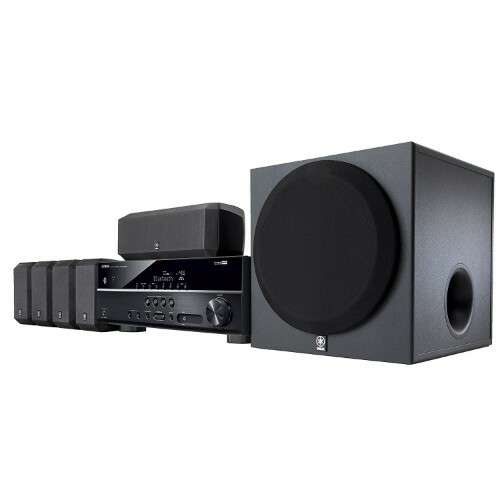 If you need a strong and powerful home theater for parties in the house then you should surely go for this one, as it is one of the strongest home theater available. It has all the qualities a perfect home theater system should have. The Yamaha YHT-5920UBL ships in a single large box, carrying all components. Inside this box, there is another individual box which contains the receiver, remote control, two AAA batteries for remote control, AM and FM antenna, CD ROM, and YPAO microphone. 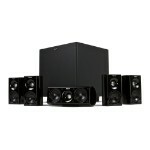 The main box also includes two front speakers, two surround speakers, one center speaker, and the subwoofer. Speakers and the subwoofer are protected by thermocol packaging. In addition, it includes owners manual and speaker wires. 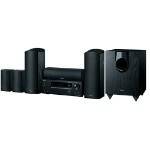 The Yamaha YHT-3920UBL is a Bluetooth compatible audio system. This feature allows you to enjoy wireless music playback from smartphones and other devices. The Yamaha YHT-3920UBL home theater is fully compatible with 4k Ultra HD video system. Enjoy the best audio with the best video system. This home theater in a box supports the audio of 3D videos. Additionally, the Audio Return Channel function enables audio to be sent and received via the same HDMI cable, so you can hear the sound from the TV via a single HDMI cable. This feature provides rich bass reproduction. The extra bass improves the volume of the entire low range of the speaker system, not only the front speakers but also enhancing the bass from the subwoofer. The YPAO™ (Yamaha Parametric Acoustic Optimizer) is the feature that helps set up the speakers using an optimizing microphone. It helps calibrate the audio parameters to achieve optimum sound. Virtual CINEMA FRONT is an alternative setup configuration. This allows you to experience the virtual 5.1 channel sound by placing all the speakers in front. In the ECO Mode, the power consumption of the system can be reduced by 20%. It also has a selectable auto power standby feature which automatically turns off the receiver’s power after 20 minutes, two, four, eight or 12 hours.